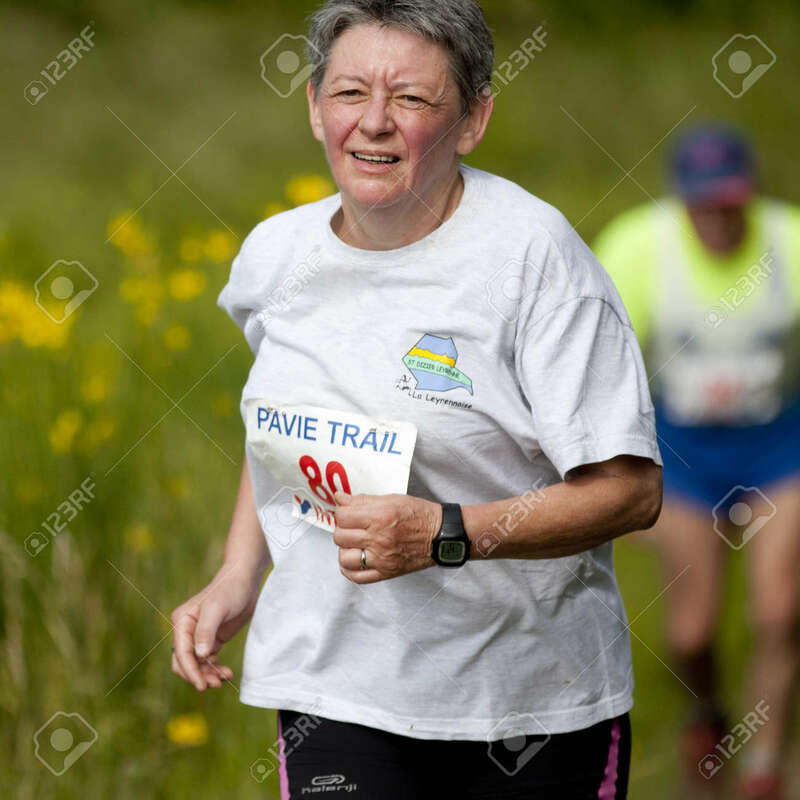 PAVIE, FRANCE - JUNE 23: Old Female Runner At The Trail Of Pavie,.. Stock Photo, Picture And Royalty Free Image. Image 20425236. Stock Photo - PAVIE, FRANCE - JUNE 23: Old female runner at the Trail of Pavie, on June 23, 2013, in Pavie, France. PAVIE, FRANCE - JUNE 23: Old female runner at the Trail of Pavie, on June 23, 2013, in Pavie, France.